I'll be Reading Free Books on Kindle for Christmas...but It Won't be In My Dreams! You are here: Home / freebies and free samples / free kindle books / I’ll be Reading Free Books on Kindle for Christmas…but It Won’t be In My Dreams! I’ll be Reading Free Books on Kindle for Christmas…but It Won’t be In My Dreams! As the classic song goes: “I’ll be reading free books on Kindle for Christmas…but it won’t be in my dreams!” 🙂 Amazon is offering some amazing FREE Kindle books to spread some Christmas cheer. These books are all geared towards the holiday season. Take a minute today to check out and possibly download these freebies. They don’t normally last long on Amazon! DIY Holiday Gifts: You can save your wallet $3 by downloading this awesome book for holiday crafters today! You can’t go wrong with DIY! The Fragrance of Christmas: This ebook is filled to the brim with cute Holiday sayings, recipes, prayers, illustrations, and so much more! This holiday themed book usually sells for $5.99. It’s yours for free right now! 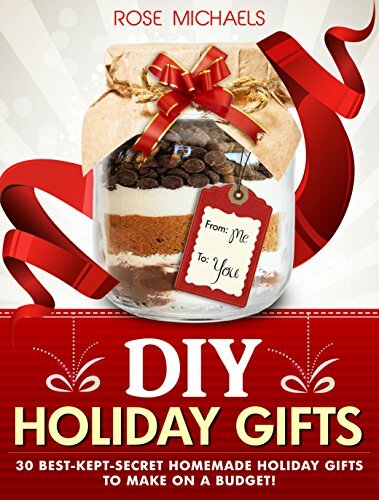 35 Christmas Dessert Recipes: I found all sorts of great new dessert ideas from this book specifically for the holiday season. You can download this book that normally costs $1.99 for your Kindle for free! Ebook reminder: These books were free at time of posting (1.30 p.m. EST, December 4th, 2014) But, you should always check the price before hitting the 1-Click button. You don’t need a Kindle device to read this book. You can download a free Kindle reading app to your PC, Mac, phone or tablet. You may also be able to read this book on your browser through the Kindle cloud service.